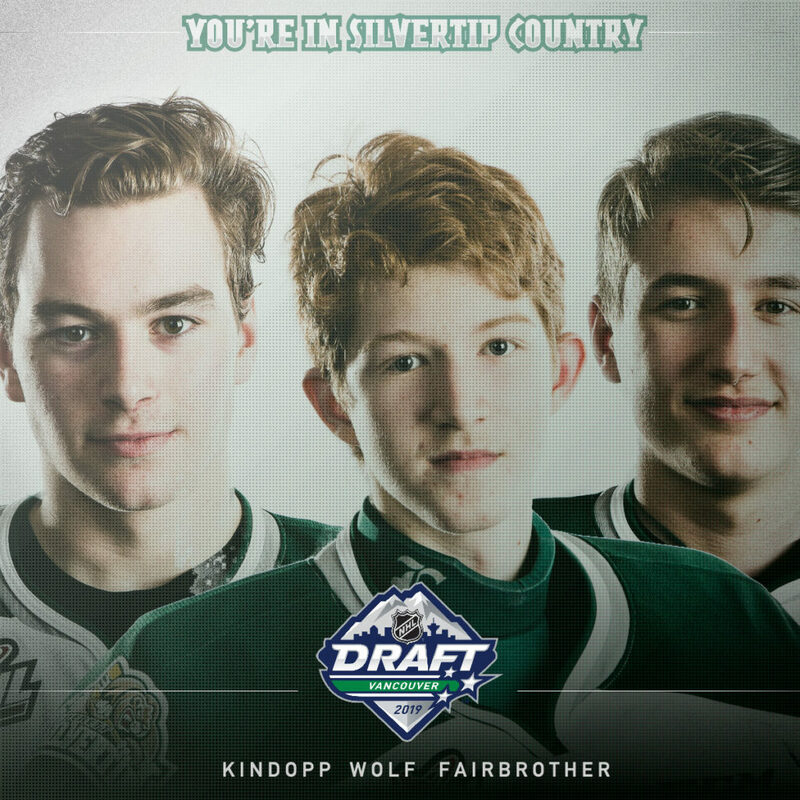 EVERETT, Wash. – Everett Silvertips goaltender Dustin Wolf (12th), defenseman Gianni Fairbrother (50th), and forward Bryce Kindopp (170th) have been listed among the top ranked North American goaltenders and skaters in the Final Rankings of players eligible for the 2019 National Hockey League Entry Draft, released by NHL Central Scouting today. 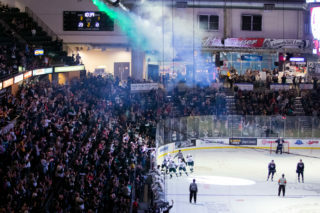 All three players are among a total of 50 players from the Western Hockey League and its teams included in the rankings for skaters and goaltenders eligible for this summer’s NHL Entry Draft, scheduled for June 21-22 in Vancouver. 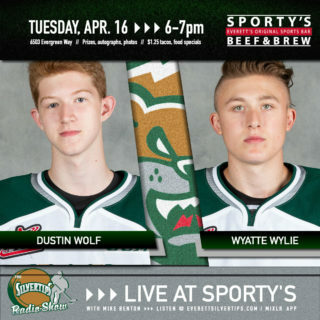 Wolf, who turns 18 on Tuesday, completed his regular season as the WHL leader in wins (41), save percentage (.936), goals-against-average (1.69), minutes (3,615), was second in shutouts (7), and fourth in saves (1,493), while setting a new Silvertips single season record in wins, posting the second highest save percentage in the franchise’s single season history, the second lowest goals-against-average in franchise history – and fourth lowest in WHL history. He recorded 30 saves or more in a game, 12 times in the regular season and earned a season high 43 saves on Dec. 8 in a 2-1 victory over the Seattle Thunderbirds in Kent, Wash. 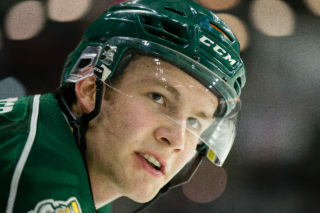 The native of North Vancouver jumped 35 spots to his current position since the Midterm Rankings were released and has 41 points (12g-29a) along with 113 penalty minutes in 100 career WHL games, all with the Silvertips. 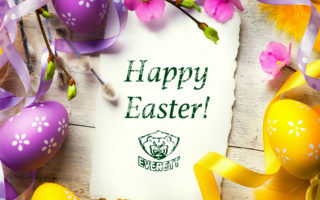 He was a part of last season’s Silvertips team that captured their second Western Conference title in franchise history and this year’s team that earned its third consecutive U.S. Division title (7th in franchise history). Fairbrother has eight points (1g-7a) and a +11 rating in 35 postseason games. 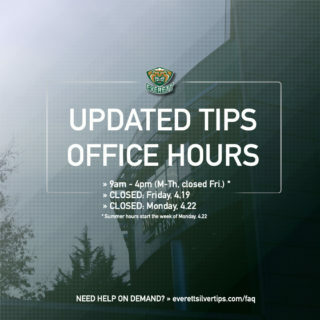 At the 2018 NHL Draft, the Tips had three players selected: forward Connor Dewar (Minnesota Wild), center Riley Sutter (Washington Capitals), and defenseman Wyatte Wylie (Philadelphia Flyers). All three were named to NHL CSS’ Final Rankings. A total of 19 players have moved up from the Silvertips to make their debut in the NHL, since the Silvertips began play in 2003-04.